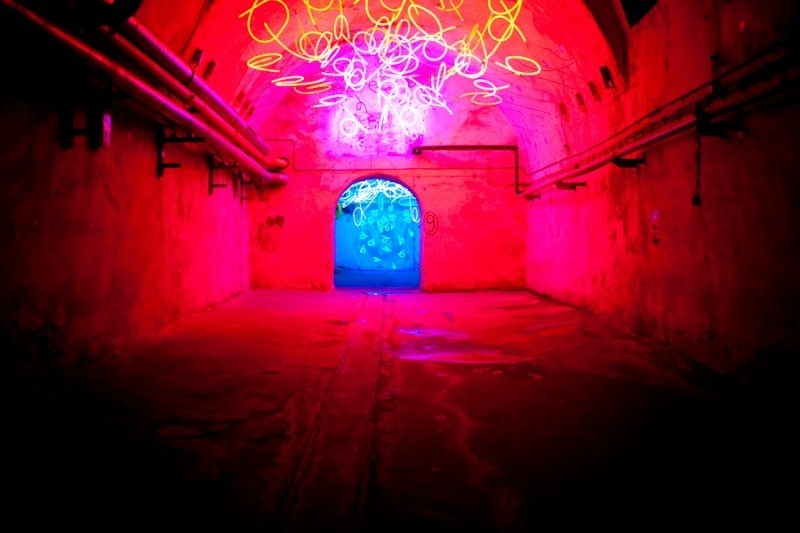 For the first time, the Centre for International Light Art Unna, is launching the first annual International Light Art Award 2015, which will light up the life of a young artist each year. The artistic competition strives to promote artists working within the field of light art, offerring a first place prize of $13,500, and three other awards for other worthy candidates. The award coincides with the UNESCO International Year of Light in 2015, a UN General Assembly-supported initiative to focus on light science and light technology and their applications for sustainable development and solutions for global challenges in energy, education, agriculture and health. With these major developments, 2015 could possibly become a milestone in the history of light art, with the Unna museum serving as a creative epicenter for the field. As the world’s first and only museum completely dedicated to light art, The Centre for International Light Art is located in an unlikely building, roughly three hours outside of Berlin. In 2002, the city of Unna started thinking about how they could turn an old brewery into something special. Specifically, they wanted to create a spectacular space with all those dark, murky beer cellars. “Wouldn’t that be the ideal space to do something with light?” John Jaspers, the museum’s curator, told The Creators Project over a phone call. Walking through the permanent exhibition is like floating through a brief history of the medium, especially since Jaspers specifically “invited the Rembrandts and Van Goghs of light art” to exhibit work, such as Olafur Eliasson and James Turrell. The museum also has a section for rotating exhibitions, with a current show by a Dutch installation artist named Jan Van Munster, renowned for making light pieces in public space. Winners of the Light Art Award will have their work installed in the museum this coming January. The Centre For International Light Art’s collection includes work from 14 artists (and counting), each focusing on site-specific work. Eliasson’s 2002 project The Reflective Corridor | Draft To Stop The Free Fall, for example, is a waterfall illuminated with a stroboscopic light, flanking two walls of a room you can walk through. 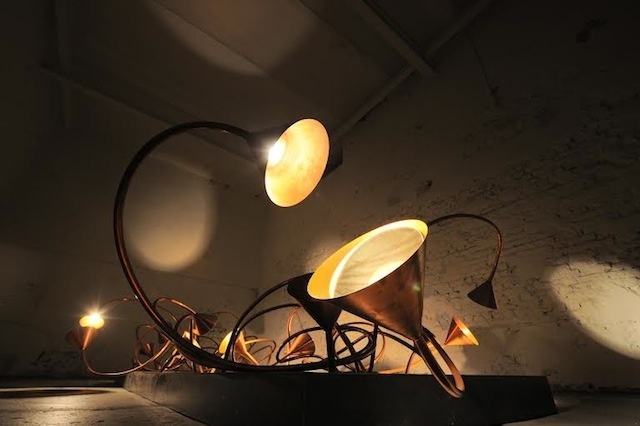 Another installation is Rebecca Horn’s Lotus Shadow(2006), a series of lamps made of copper, glass, steel and light which glow in the room like the eponymous flower. There’s also a text piece by Joseph Kosuth called The Signature of The World — Light And Darkness(2001), which replicates the romantic rhymes of poet Heinrich Heine with neon tubes. And Mario Merz’s Fibonacci Sequence (2000) is actually outside the museum, as the project is a mathematical sequence represented by neon lights that climb up a chimney next to the main brewery building. A personal favorite, though, has got to be James Turrell’s Floater 99(2001), which features a glowing purple light that dissolves over time. The only thing you see is an LED screen with lights that softly change from ice blue to magenta red, reminding us a bit of the space room in Willy Wonka and the Chocolate Factory. 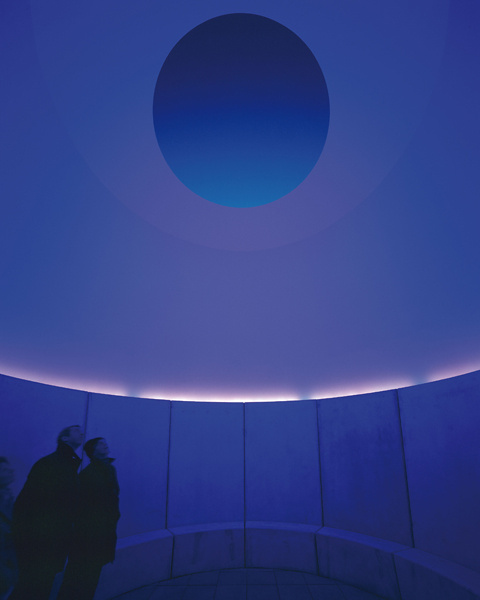 The real show stealer may actually be Turrell’s two story building Third Breath (2005/2009), which allows visitors to visit a Skyspace in a separate concrete building, offering a vantage of the sky through a unique lens. “People come here just to see that one,” said Jaspers. But is light art an art movement? “In context of sculpture and installation, it’s become its own art stream,” said Jaspers. “Otto Piene is a light artist, light art exists. It’s a stream. I speak of artists who make use of it as their basic material. It’s not about the aesthetic quality of light, it isn’t light design. It’s light art.” And the expense? “Without electricity there’s not much to see,” he said. 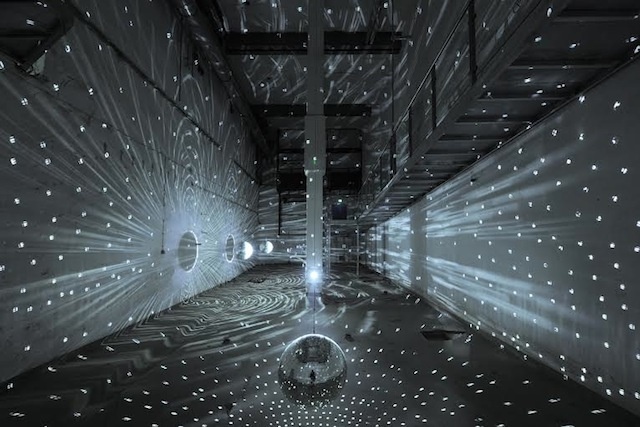 The Center for International Light Art Unna can be reached on the German Deutsche Bahn train. Read more about the Light Art Award. Follow Nadja on Twitter. Images courtesy of Centre for International Light Art Unna.